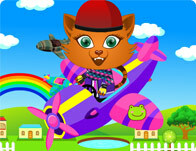 Get fashionable for some high flying adventures with Sisi as she takes on the role of an aviatrix in this fun paced dress up! Customize everything and keep it colorful as you take to the skies in style. She's small but she's styling! Cute elf hats and fantasy freckles make this Gnomette a wonder to behold. 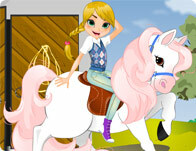 Dress her up in tons of fantasy fun outfits with matching backgrounds. Fluttering fashions and delicate dancing. 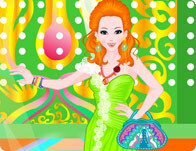 This colorful dance fairy likes her aerial ballets to coordinate with her unearthly fashions. 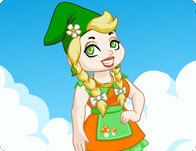 Style her with cute wings and tutus in this fantasy fashion dancing adventure.